الوقت المحدد للقراءة : 12 يوم. معدل القراءة: 15 صفحة يوميا. إذا كنت تشعر أنك داخل مصيدة أثناء العمل، وإذا كنت ترغب أن تحصل على حريتك وتخرج من تلك المصيدة ! للحصول على شيء أفضل. 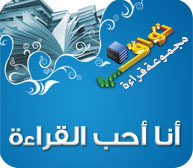 فهذا الكتاب يتناول الأسباب التي تغريك للاستمرار فيما مالا تريد. 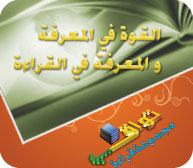 و هذا الكتاب يقدم لقارئة الدوافع التي تشجعه وتحفزه للخروج من الحصار الذي يعيشه، وكذلك العقبات التي تمنعه من الخروج. إن خوض التجربة بكل مخاطرها أفضل من التنحي عنها و تركها. إن الإغراءات التي نحصل عليها تضع الغشاوة على أعيننا وتبقينا داخل جدران المصيدة. الجزء الأول : الجبن و المصيدة و الصدق مع النفس. الأخوات والإخوة أبناء أمة اقرأ وأعضاء مجموعة تواق للقراءة، في انتظار مبادراتكم لتقديم نبذة مختصرة عن أجزاء الكتاب. بحيث يبادر بعضنا باختيار جزء من الكتاب وينشر لنا نبذة عنه في تعليقه، و يأتي شخص أخر يختار الجزء الثاني و يكتب تعليقه علية، و هكذا. (بحيث يكون ملخص الكتاب تعاون بين خمسة أشخاص). هذا الموضوع نشر في 29 أبريل 2010 في الساعة 18:39 فان أصبت فمن الله وان أخطأت فمن نفسي والشيطان. يمكنك نقل أي موضوع من المدونة بشرط ذكر المصدر. 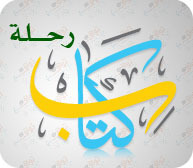 اللهم اغفر لي وللمسلمين والمسلمات وصلى الله على سيدنا محمد وعلى آله وصحبه والحمد لله رب العالمين. سوف اساهم معكم بتقديم ملخص عن الجزء الاول من الكتاب. الجبن يمثل أي إغراء يبقيك داخل المصيدة. المصيدة تمثل نقص الدفع أو العمل الشاق أو الإدارة المستنزفة او حتى الوظيفة نفسها. 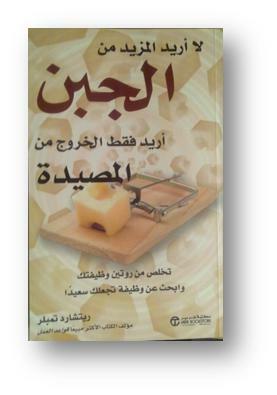 كما يقدم الكتاب الدافع والمحفزات التي تشجعك للخروج من هذا الحصار. إذا كانت الوظيفة التي تعمل بها هي الوظيفة التي تتمناها فمن الافضل البقاء في نفس المكان. إن عدم رضاك عن الوظيفة التي تعمل بها يضر بصحتك! في دراسة للبروفسور “كاري كوبر” استاذ بجامعة مانشستر للعلوم والتكنولوجيا يقول: أن ثلاثة ملايين يوم من أيام العمل تذهب هباء سنويا بسبب التوتر. ثم يطرح الكاتب إستبيان ليوضح لك النواحي التي قد تواجه فيها بعض الصعوبات والنواحي التي تشعر بالامان فيها. بالاضافة الى النواحي الجيدة التي تتمتع بها في وظيفتك الحالية (المنزل والعمل، مستوى الرضا عن العمل، الوضع الوظيفي، المسئولية، العلاقات داخل العمل، ضغط العمل). ربما تجد تحمل المصيدة من أجل توفير بعض المدخرات او سداد بعض الرسوم ضرورة قصوى. وبالتالي هذا وقت غير مناسب لترك العمل. هذا وقت مناسب لتحسين الاوضاع حتى تهئ الظروف لترك الوظيفة. يستعرض قائمة من أعراض التوتر، فاذا كنت تعاني من العديد منها فانت بحاجة الى وقفة جادة مع نفسك لتجنب المرض اولا، ثم العمل على اصلاح الوضع او الخروج من المصيدة. أنت وحدك من يقرر الاستمرار او الخروج. hey, great article.. thanks for sharing ! I akin to the site, but could not unearth how en route for subscribe near receive the updates by email. Can you please let me recognize? Not long ago I started a webpage, in addition to the information you provide on top of this weblog has helped me tremendously. Thank you for each and every one of your time & work. cheers! We’re a group of volunteers and starting a brand new initiative within our neighborhood. Your post provided us all with useful information to aid us get started. Fine planning girl. Because of this suggest most of us! One wouldn’t have guessed by registering the title that this office was n’t deserving the difficulty . Im not certain I totally concur along with you on this post. On the other hand I’m always amenable to fresh concepts. Might need to consider it. Useful site anyway. I am speechless. This is a very good weblog and really enticing too. Great work! That’s now not actually much coming from an amateur publisher much like me, nevertheless it’s all I may just say after diving into your posts. Nice grammar and vocabulary. Now not like other blogs. You in point of fact understand what you?re referring to too. Such a great deal that you helped me want to explore more. Your weblog has grow to be a stepping stone personally, my friend. Bil are definately proud of your post as you must be. It is enormously well delivered. appreciation for the time you put into this. I will dig and test en route for hit upon some complimenting specifics headed for total. Thanks again. undeniably ter’ 2 hours of searching for this topic I have just finally in here. in my opinion I have to bookmark this page to hour. Thanks to this awesome blog. Keep safe! Nice background, your posts were very good to read and it was something related to me. Greetings, Thanks alot for the gripping information which you have provided on this website. I have been searching AOL all over for this. Hey – nice post – thank you for sharing this with us. Already bookmarked you so I will visit your site more often- thanks. Take care! Great article. There’s a lot of good data here, though I did want to let you know something – I am running Fedora with the circulating beta of Firefox, and the layout of your blog is kind of funky for me. I can understand the articles, but the navigation doesn’t work so well. Totally along with a very facinating post to stumble at about this awesome website. Rarely post some reply but now i just didn’t resist ! Thanks for sharing this with us, very informative. Great post! It is very remarkable. You made a few nice points there. I did a search on the issue and found the majority of folks will have the same opinion with your blog. You made some nice points there. Thank you for the good post! I honestly did not think this specific issue that way. I feel that there is certainly a point in all of this. Delighted to be in a position to get involved. Wish you good luck. I saw this identical post of yours, located at facebook and figured that you might well want to know. You’re making some progress! I actually didn’t think this specific matter that way. I feel that there may be a point in this. Happy to be able to get involved. Wish you luck. Is there a better way to send this site to someone without having to copy and paste into an email? I really enjoy this theme you’ve got going on in your internet site. What is the name of the template by the way? I was thinking of using this style for the site I am going to build for my class project. Good post a bit helpful info. I must for sure come and visit once more to your site again to read some of the different submissions. Ta! I’d have to check with you here. Which is not something I often do! I enjoy reading a publish that will make people think. Also, thanks for allowing me to remark! I do not constantly harmonize with all your posts but it’s normally a entertaining read. Well written review, and i currently realized that some groups are more liable than others (since all of us are different) would share the same idea. I hope you bare this blog working well. I really enjoyed the site. That is always nice when you read something that is not only informative but entertaining. Outstanding! Great post! I’m surely sharing this with my friends! Had fun reading it indeed. I am usually to blogging and i really appreciate your content. The article has really peaks my interest. I’m going to bookmark your website and preserve checking for brand new information. After reading this I thought it was very informative. Well written review, and i already understood that some groups are more inclined than others (since all of us are unique) would share the same idea. I hope you save this blog operating well. After examine a couple of of the blog posts in your web site now, and I really like your way of blogging. I bookmarked it to my bookmark website list and might be checking again soon. Pls take a look at my web page as properly and let me know what you think. I apperceive i’m a little off topic, but i recently capital to express i adulation the blueprint of one’s blog. i’m not used to the blogegine platform, so any suggestions on accepting my blog analytic nice could be appreciated. Can I simply say what a relief to find someone who truly is aware of what theyre talking about on the internet. You undoubtedly know the right way to deliver a problem to mild and make it important. More folks must learn this and perceive this facet of the story. I cant believe youre no more in style since you undoubtedly have the gift. I wanted to write down a simple note so as to express gratitude to you for those splendid tips and hints you are writing at this site. My incredibly long internet search has finally been honored with pleasant knowledge to write about with my friends and family. I ‘d express that many of us visitors are unquestionably blessed to be in a very good site with so many special individuals with useful suggestions. I feel really privileged to have encountered your website page and look forward to some more amazing minutes reading here. Thank you once again for all the details. Youre obviously an expert with your fieldif you ever hapen to wish a real estate expert in the Jacksonville, Florida are make me aware. Spot on with this write-up, I really suppose this website wants far more consideration. I’ll in all probability be again to read rather more, thanks for that info. Good post. I be taught something more difficult on different blogs everyday. It should at all times be stimulating to read content material from other writers and observe slightly one thing from their store. I’d want to make use of some with the content on my blog whether or not you don’t mind. Natually I’ll give you a hyperlink on your web blog. Thanks for sharing. Outstanding post, you have pointed out some good points , I also conceive this s a very great website. magnificent put up, very informative. I wonder why the opposite specialists of this sector do not realize this. You should continue your writing. I’m confident, you’ve a great readers’ base already! Fantastic website. A lot of useful info here. I am sending it to several friends ans also sharing in delicious. And naturally, thanks for your sweat! I truly find this a interesting subject. Never looked at this subject in this way. If you are planning to write some more articles about this subject, I definitely will be back soon! It looks that youve put a good amount of effort into your article and that i need a much bigger of the around the Net these days. I must say i got a kick out of the post. I would not use a bunch to to convey in reply, I only wanted to register to say marvellous work. Aw, it was a really nice post. In concept I must put in writing like this additionally â€“ spending time and precise effort to create a very good article but so what can I say I procrastinate alot and also on no account seem to get something done. I appreciate you spending some time to create this post. It is still really valuable if you ask me indeed. Be thankful. really liked the post that you have written actually. it isnt that easy to find great posts toactually read (you realize.. READ and not just going through it like some uniterested and flesh eating zombie before moving on), so cheers mate for really not wasting time on the god forsaken internet. A great site and even better article, but do not want to raise the audience, I got you on the way Pozycjonowanie Stron is an incredible opportunity for any website. Hiya! I just would like to give a huge thumbs up for the nice information you have got right here on this post. I will likely be coming back to your blog for more soon. This article has geniunely opened my eyes. This subject is largely full of so much junk, but you’ve written a real gem amongst the dross. Thankyou, I plan to visit again. A formidable share, I simply given this onto a colleague who was doing a little analysis on this. And he the truth is bought me breakfast as a result of I found it for him.. smile. So let me reword that: Thnx for the treat! But yeah Thnkx for spending the time to discuss this, I really feel strongly about it and love studying more on this topic. If possible, as you become expertise, would you mind updating your weblog with extra particulars? It’s highly helpful for me. Big thumb up for this blog post! Well written post, and that i already understood that some groups are more likely than others (since we’re all different) would share the same idea. I hope you save this blog operating well. If possible, as you gain knowledge, can you mind updating your blog with more information? It is very helpful for me. Very detailed post! I agree with above poster! I have your website bookmarked! I discovered this weblog quite helpful. The facts and exact suggestions are exactly what I had been searching for. I absolutely need to frequent this website a lot more often, information like this is difficult to find. Hey this is actually the great article . Can I use any of it on my blog ? I would obviously link back to your article so people could view the complete article if they desired to. Thanks either way. You completed certain good points there. Used to do searching on the subject matter and found most persons will go along with your blog. I do not define an excessive amount of relating to this, i actually just wanted to obtain ideas from your site, but your post caught my attention. Hello! I just would like to give a large thumbs up for the great info you have here on this post. I will probably be coming back to your blog for more soon. I’m using a tiny problem I cant subscribe your feed, I’m using google reader fyi. Thought I’d comment and say great theme, did you code it on your own? Really looks really good! You certainly possess some agreeable opinions and views. Your blog provides a fresh consider the subject. I just added this feed to my bookmarks. I really enjoy reading you. Thanks! Im truly grateful and really impressed. Thank you for making the effort to talk about this, Personally i think strongly about this and love reading more about this topic. Thank you for the helpful information! I would never have gotten this by myself! Could it be alright to reference thing about this on my website if I incorporate a backlink for this webpage? , very interesting post, it really got me thinking. Thank you. I am typically to blogging and i really respect your content. The article has actually peaks my interest. I am going to bookmark your site and hold checking for brand spanking new information. Hi all, great site and interesting articles . Thanks very much for this distinct website;this is the kind of thing that keeps me going through out these day. I have been searching around for this site after I heard about them from a colleague and was pleased when I found it after searching for awhile. Being a demanding blogger, I’m dazzled to see others taking initivative and contributing to the community. Just wanted to comment to show my approval for your post as it’s very appleaing, and many bloggers do not get appreciation they deserve. I am sure I’ll visit again and will send some of my friends. I’m impressed, I need to say. Really rarely do I encounter a weblog that’s both educative and entertaining, and let me tell you, you could have hit the nail on the head. Your idea is outstanding; the issue is something that not sufficient persons are talking intelligently about. I’m very completely satisfied that I stumbled throughout this in my search for something relating to this. I’m usually to running a blog and i really admire your content. The article has actually peaks my interest. I’m going to bookmark your web site and preserve checking for new information. Can I just say what a relief to find somebody who really is aware of what theyre talking about on the internet. You definitely know the right way to convey a problem to mild and make it important. Extra folks must read this and perceive this aspect of the story. I cant consider youre no more popular since you definitely have the gift. have a Good day, friend, great site! :)“wow, maybe this post is often a bit off topic but in other words, i’ve been browsing around your weblog and it appears actually superb. impassioned about your writing. Just thought I’d personally comment and say great theme, did you are making it by yourself? Its really superb! When I click your Feed it throws up lots of strange characters, could be the problem on my reader? Nice blog. Keep blogging. Please visit mine when you have the time. I’m so lucky to have detected this webpage . You actually stated me exactly what I wished to take heed and then some. Gorgeous composing and many thanks all over again for getting this 100 % free! Nice post. I learn something more difficult on totally different blogs everyday. It’s going to at all times be stimulating to read content from different writers and apply a bit something from their store. I’d choose to use some with the content on my blog whether you don’t mind. Natually I’ll offer you a hyperlink on your web blog. Thanks for sharing. Thanks very much for this good blog;this is the words that keeps me awake through the day. I have been searching around for this site after I heard about them from a buddy and was pleased when I found it after searching for long time. Being a avid blogger, I’m cheerful to see others taking initivative and contributing to the community. Just wanted to comment to show my support for your website as it’s very enticing, and many writers do not get acceptance they deserve. I am sure I’ll be back and will spread the word to my friends. A powerful share, I simply given this onto a colleague who was doing a bit of analysis on this. And he in fact purchased me breakfast as a result of I discovered it for him.. smile. So let me reword that: Thnx for the deal with! However yeah Thnkx for spending the time to discuss this, I really feel strongly about it and love studying more on this topic. If attainable, as you turn into expertise, would you thoughts updating your blog with extra details? It is highly useful for me. Massive thumb up for this weblog put up! Thanks very much for this intelligent website;this is the stuff that keeps me going through these day. I’ve been looking around for your site after being referred to them from a buddy and was pleased when I found it after searching for some time. Being a demanding blogger, I’m happy to see others taking initivative and contributing to the community. I just wanted to comment to show my support for your article as it’s very encouraging, and many bloggers do not get credit they deserve. I am sure I’ll visit again and will recommend to my friends. Simply desire to say your article is as amazing. The clearness in your post is simply nice and i can assume you are an expert on this subject. Well with your permission let me to grab your feed to keep up to date with forthcoming post. Thanks a million and please carry on the enjoyable work. Thanks very much for your brilliant article;this is the kind of thing that keeps me going through out the day. I have been searching around for this site after being referred to them from a colleague and was thrilled when I was able to find it after searching for long time. Being a demanding blogger, I’m pleased to see others taking initivative and contributing to the community. Just wanted to comment to show my support for your post as it is very interesting, and many writers do not get acknowledgment they deserve. I am sure I’ll visit again and will recommend to my friends. Aw, this was a very nice post. In thought I wish to put in writing like this additionally – taking time and actual effort to make a very good article… however what can I say… I procrastinate alot and not at all seem to get one thing done. Once and for all an excellent blog post about the subject, keep up the great work and therefore I wish to learn more of your stuff in the long run!! Thanks very much for your good page;this is the stuff that keeps me awake through my day. I’ve been searching around for this site after being referred to them from a colleague and was pleased when I found it after searching for some time. Being a demanding blogger, I’m cheerful to see others taking initivative and contributing to the community. I just wanted to comment to show my appreciation for your website as it is very appleaing, and many writers do not get authorization they deserve. I am sure I’ll visit again and will send some of my friends. Hey! I just want to give a huge thumbs up for the nice information you have got right here on this post. I can be coming back to your weblog for extra soon. Exciting viewpoint in this blog post yet I do not fall in with in everything you mean but largely very well defined. Included you to my favorites and tweeted to my 3000 subscribers. Good points?I might be aware that as any individual who truly doesn’t write on blogs so much (actually, this may be my first submit), I don’t assume the time period ‘lurker’ is very changing into to a non-posting reader. It’s now not your fault in the least , but perhaps the blogosphere could come up with a better, non-creepy identify for the ninety% of us that revel in studying the content . ï»¿Thank you for the helpful information! I would not have gotten this on my own! Is it alright to reference much of this on my website easily include a backlink to this webpage? After I initially commented I clicked the -Notify me when new feedback are added- checkbox and now each time a comment is added I get four emails with the same comment. Is there any approach you can take away me from that service? Thanks! I picture this could be diverse upon the written content? however I nonetheless believe that it can be appropriate for virtually any form of subject material, as a result of it will incessantly be gratifying to determine a heat and delightful face or possibly pay attention a voice while preliminary landing. What would all of us do without the wonderful suggestions you share on this site? Who else has the perseverance to deal with critical topics for the health of common readers like me? I and my girlfriends are very blessed to have your blog among the kinds we frequently visit. We hope you know how much we appreciate your efforts! Best wishes from us all. Say thanks a lot for your time and effort to have decided to put these things together on this website. Emily and that i very much loved your input through your own articles about certain things. I’m sure that you have many demands on timetable hence the fact that you took all the time like you did to guide people like us by way of this article is definitely highly valued. This is such an informative article and very clearly written. Every single thought and idea is direct to the point. Perfectly laid out. thanx for taking your time sharing this to you scaners. Admirably written and precisely described post. Your finest points is very beneficial for my own projects and blog. To thank you I am going to bookmark the post and tweet it to my 2400 subscribers. The post is absolutely brilliant! Lots of great information and inspiration, both of which we all need! Also like to admire the time and effort you put into your blog and detailed information you offer! I will bookmark your blog! Very well said, your blog says it all about that particular topic.-‘**. I love blogging and i can say that you also love blogging.`.*’. I love reading your blog because it has very interesting topics.”*`. I’m impressed, I must say. Actually not often do I encounter a blog that’s both educative and entertaining, and let me inform you, you might have hit the nail on the head. Your thought is outstanding; the issue is something that not enough people are talking intelligently about. I’m very completely happy that I stumbled across this in my search for one thing relating to this. enjoyed ur site, will be back. favorite saved. I feel it is a point of view. I meet people who rather say what they suppose others want to hear. Good and well written! I will come back to your site for sure! I’m a blog crazed person and i love to read cool blog like yours.-`.,. I really appreciate this cool article:D From there i get something I want to know! Thanks for the info! Well crafted post, and i also already learned that some groups are more inclined than others (since many of us are unique) would share the same idea. I hope you bare this blog working well. Sometimes your blog is loading slowly, better find a better host.`”;. What would be your next topic next week on your blog..-“.. I don’t know if you’ve been making changes:) but your pages aren’t displaying correctly for me:D The edges of the text are running into each other! You seem to be very professional in the way you write.;’.’. I believe other website owners should take this website as an example , very clean and wonderful user friendly design and style . I always visit your blog everyday to read new topics.-;’:. Well crafted writing, and i currently knew that some groups are more likely than others (since we’re all unique) would share the same idea. I hope you save this blog performing well. I’m a blog crazed person and i love to read cool blog like yours.~.;:. We pretty much appreciate your blog post. You can find so many approaches we could put it to decent use by means of minimum effort on time and money. Thank you so much for helping have the post answer many questions we have come across before now. I won’t argue together with your decisions simply because I believe you’re exact on the money! You have assemble a reasonable case for your views and now I understand much more about this unique topic. Thank you this awesome post and that i will arrive again extra. You are so cool man, the post on your blogs are super great.`;`;. Thanks very much for your downright website; the stuff of which helps to keep others awake through out the working day. I’ve also been searching available designed for your web page when being referred to these people from your colleague and additionally was pleased whenever i was able to find this just after on the lookout for some time. To be a demanding blogger, I am cheerful to discover some others choosing initivative together with causing the city. I just wanted for you to remark to signify my best approval to your post as it is really appleaing, and a lot of writers acquiring credit some people ought to get. Almost certainly Let me be back and will eventually spread the word to great close friends. I love when you talk about this type of stuff in your blog. Perhaps could you continue to do this? Do you mind if I quote a few of your articles as long as I provide credit and sources back to your webpage? My website is in the very same niche as yours and my visitors would certainly benefit from some of the information you present here. Please let me know if this ok with you. Appreciate it!